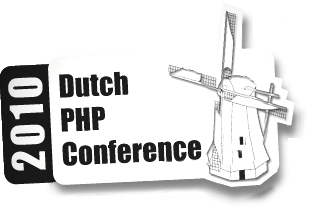 Abstract: A wrapup of the Dutch PHP Conference 2010. Uploaded slides of my talk "The Art of Scalability - Managing growth". Another edition of the Dutch PHP Conference is over, and it's been great as expected. The main themes were quite different from last year, and I would say more heterogeneous. I especially liked the first day (I followed Melanie's extension writing tutorial) and the two keynotes: great speakers, excellent talks. The uncon tracks also turned to be a wonderful addition to the event. My own talk was about scalability. As expected, the room was packed: scalability is indeed a hot topic, and a difficult one, because it can mean many things to many people. Before giving the talk, I was expressing my concerns about the choice of how to treat the subject, and whether it was right for this audience. As my colleague Ian said, developers usually expect two kind of talks: either a story of how company X solved the problem thanks to technology/technique Y, or a series of concrete tips on how to implement database clustering or session data replication, for instance. And judging by some of the comments, he was absolutely right. 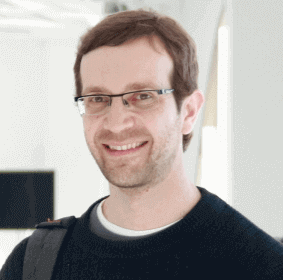 At the same time, he and others supported the approach, since almost nobody treats the topic in a comprehensive way, and very few mention the importance of people and processes when scaling an application. The available time didn't allow me to add as much depth or examples as I would have wanted, but I think I still managed to give the audience a bounty of ideas and solid architectural principles, which they can research and read about later (I can't recommend M. L. Abbot & M. T. Fisher's book enough, which was the main source for this talk). And I stand by the decision of describing the importance that roles and organisational structure have on any scale-related effort, and how the right (or wrong) processes can make or break it. This is a perspective we tend to forget too often, so even stating the obvious can't hurt. On this same thread, I refer to Chris Shiflett's excellent keynote: technology represents a minimal part of the bigger picture, and it's our responsibility as developers (yes, programmers too!) to understand that. Anyway, I also received a lot of positive comments, and to those that were a bit disappointed by the lack of concrete examples, I might return to the topic with much more depth in the near future, so stay tuned! In the meanwhile, you can find the slides of my talk on SlideShare or or at my talks page. And do not forget to rate it on Joind.in! I really value all kinds of comments, thank you. One final note, a big thank you to the organisers, putting up such an event is not easy, so cheers to them! 1 response to "The Art of Scalability - DPC10 wrapup"
Lorenzo, Thanks so much for recommending our book and referencing it in your wonderful presentation!